Whether Ebola is a natural virus that has gone rogue or a form of biological warfare (sounds crazy, I know), know that you do not need to fear. Between real conventional successes and natural solutions, whether suppressed or not, there are treatments for just about anything – and that includes the latest Ebola virus that has come to the U.S. in Dallas. 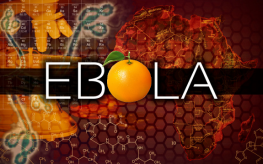 Specifically for Ebola, vitamin C may be the answer. To date, not a single virus has been tested that is not inactivated (killed) by a large enough dose of vitamin C (ascorbic acid). Not the GMO kind, but rather the naturally occurring Vitamin C. This vitamin is easily disseminated throughout the body with very little resistance, non-toxic at every level. It is also quite bio-available during an attack on the body by a virus. Vitamin C works primarily by activating the ‘Fenton reaction,’ which can proceed inside the virus, inside cells in which viruses are replicating, and on the surfaces of the viruses themselves. The vitamin also greatly supports the immune system in general to fend off all illness and disease. Frederick Klenner, MD, considered the father of the clinical applications of vitamin C, has documented the effects of the vitamin on viruses extensively. There is also a record of a New Zealand H1N1 (swine flu) patient who was taken off life-support after heavy doses of vitamin C.
Dr. Robert Cathcart, who has more experience treating potentially deadly infections with high dose vitamin C than a throng of doctors, says, “the Ebola virus kills by way of free radicals which can be neutralized by massive doses of sodium ascorbate intravenously.” In his book ‘Vitamin C, Infectious Diseases and Toxins: Curing the Incurable,’ Dr. Thomas Levy describes how high dose vitamin C has successfully eliminated all known viruses. Thankfully, we in America don’t suffer from many illnesses due to malnutrition, contaminated drinking water, pollution from unregulated petroleum extractions, and outrageous chronic stress from constant war within, unlike West Africa. That helps greatly, too. The old saying, “An ounce of prevention is worth a pound of cure” is still the best medicine. There is no cure for Ebola. The best ‘cure’ available now is to keep Ebola out of the U.S. I would also suggest Camu Camu berry. Has 50 times more vitamin C than oranges. An absolute powerfruit with other benefits.